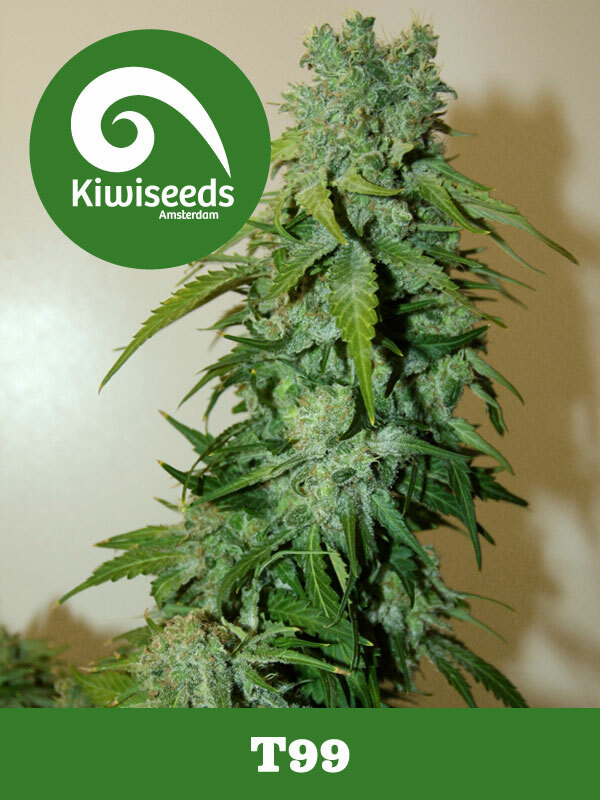 Kiwiseeds entry for the 2011 HighTimes Cannabis Cup, T99, is something we’re very proud of. A fantastic hybrid merging the unique flavour of Big Buddha ‘Cheese’with the equally special NL5 haze. The fusion is quite incredible. Plants tend to branch like Cheese but with a more vigorous upright tendency. The buds are huge and tend to need support! The end product is very special, huge cheesy flavor with extra spice from the haze, and a long up high due to its boost of haze genetics. A little longer flowering, but worth the wait!! Now available, the best of these genetics in Regular seeds, what better way to make the ideal strain than breeding the best of the best into your favourite variety? That is now possible thanks to our strains being available in Regular seeds too! T99 was Kiwiseeds Indica entry in the 2011 High Times Cannabis Cup in Amsterdam. Now available, the best of these genetics in Regular seeds, what better way to make the ideal strain than breeding the best of the best into your favourite variety? That is now possible thanks to our strains being available in Regular seeds too!